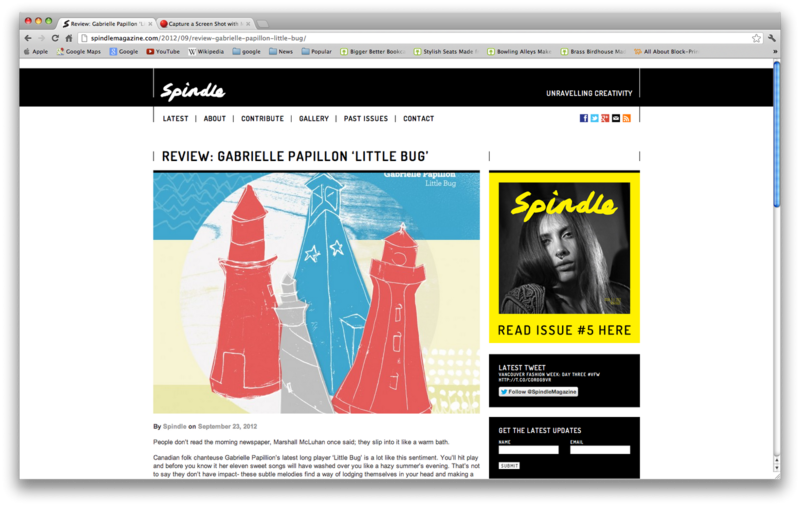 Since moving to the fab-u-lus city of Toronto in July 2012, I've started writing for the UK based Spindle Magazine. Spindle is an amazing culture crammed glossy mag all about 'unravelling creativity'. I'm pretty chuffed to be one of the writers heading the Canadian team aiming to promote the best in music, art, fashion and design. With that in mind, here's my first piece of writing for them, a short n' sweet review of Canadian folker Gabrielle Papillion's latest album.